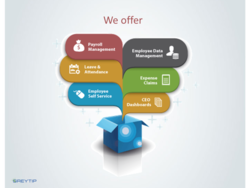 Leading Service Provider of esi,pf online software, income tax (tds) management software, hr management software, payroll management, expense claims software and hr employee data management from Chennai. 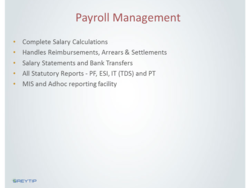 greytHR is the preferred HR & payroll software for Indian businesses. 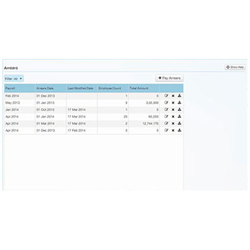 It vastly reduces and simplifies work while delivering accurate and super-fast results. 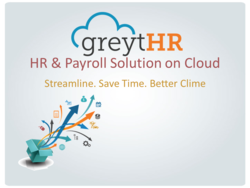 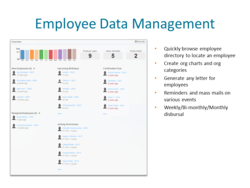 greytHR automates key areas of HR, payroll management, leave and attendance tracking. 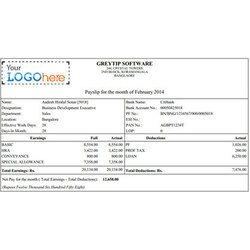 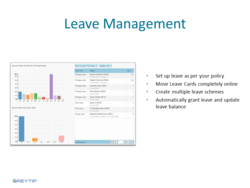 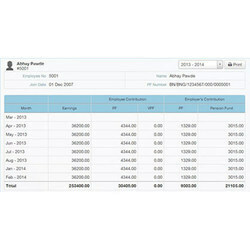 With more than 3,500+ highly satisfied customers and managing 3 lakh employee records daily, we understand what it takes to deliver a high quality software service on a 24 x 7 basis.Features of greytHR: l HR Managementl Payroll Management including Reimbursements, Loans, F&F, Arrears, etc..l Leave Managementl Attendance Managementl Expense Managementl Statutory Compliance including PF, ESI, IT (TDS) and Labor lawsl Employee Self Servicel Mobile apps for Employee Portall Employee Asset Managementl Employee Document Managementl 100+ built in reports Please click here to know more about greytHR. 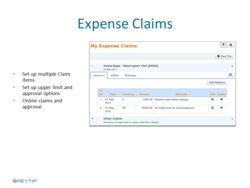 •Set up multiple Claim items •Set up upper limit and approval options •Online claims and approval. 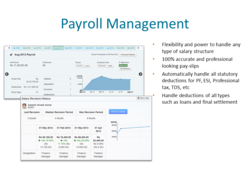 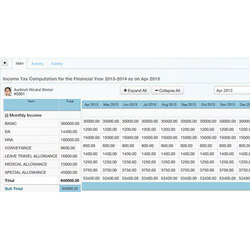 Looking for “HR & Payroll Software”?